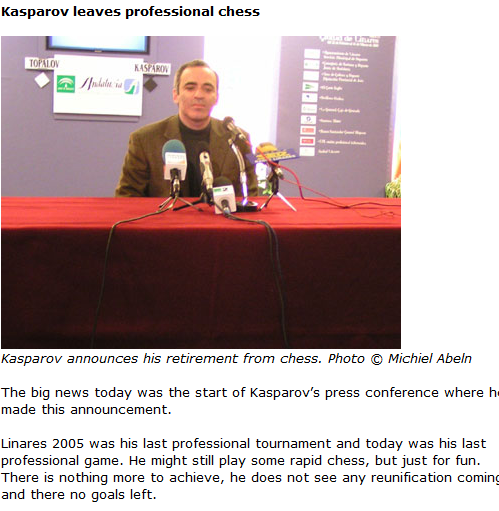 I was looking for a theme for today's post, and nearly picked the one that we used yesterday, since it's not hard to find old sources which give the impression that Kasparov announced his retirement on March 11, or even one that (in this surprising case) says so outright. or come to that you could have consulted AGON and discovered that the tournament actually began last Tuesday. I assume the 10 March date refers to the Opening Ceremony. What AGON are on about, I have no idea. Far too soon and yet not a moment too late. A far better chess player than he will ever be anything else and yet a far better chess player than almost anybody else. Did Ray actually make it to the Varsity Match this year? Not as far as I can tell [edit Wednesday afternoon: he did! see below] since he doesn't appear in any photographs that I've seen. If that's right, it was anything but the worse for his absence. 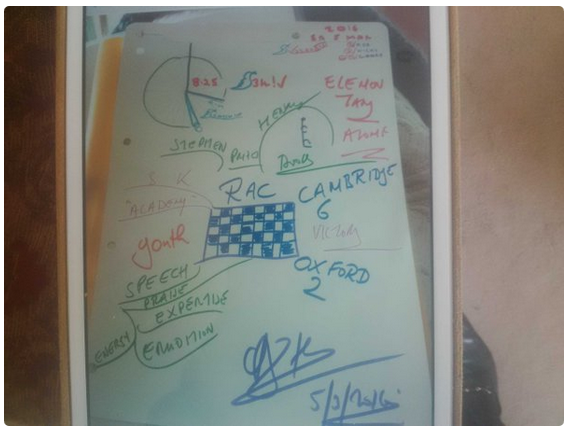 But he was there in spirit, as his chum and crony Tony Buzan appears to have been present at the "splendid black-tie dinner" and sent Ray what appears to be the menu (is that David Sedgwick's signature at the top?) and something else that our man describes as a souvenir but seems to resemble a mindmap. Who knows what it means. Just a quick addendum on the British Chess Club of Paris while Part 5 is still hot off the press and fresh in the memory, and before the series disappears from view to find its final resting place somewhere in the depths of the Blog's History archive. This post-script is possible due, once again, to the generosity of Dominique Thimognier of Héritage des Échecs Français, who unearthed so much of the material that documents the activities of the BCCP - thus it is only right to thank him again. The snippets below are from him. I'll just mention also, en passant, how tolerant he has been of the liberties taken in the series with his mother tongue. A propos of the blogs as a whole he commented to me, with un peu d'humour français, that my faux pas here and there added "une petite touche de charme britannique". Very drôle. 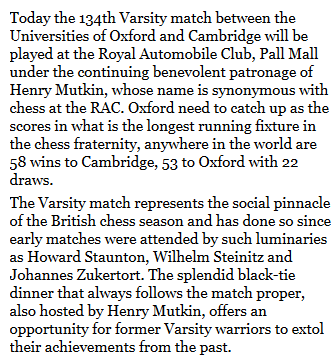 In Part 2 The Opposition we mentioned that the BCCP had taken a table at a 60 board simul by Alekhine in February 1932. It was held, in fact, at the Hotel Claridge - and, more importantly, the BCCP was one of the 17 teams that drew with the World Champion. Well done chaps - even if not one of the 6 that beat him. Source: Alexander Alekhine's Chess Games 1902-1946 L.M.Skinner and R.G.P. Verhoeven (McFarland, 1998). Part 1 The Club; Part 2 The Opposition; Part 3 The Match; Part 4 The Beast; Part 5 The Robot. You know this one. 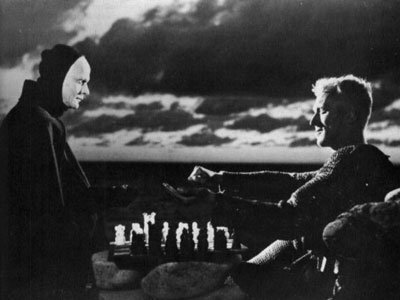 The Thomas Crown Affair and From Russia With Love might be classics, but when it comes to chess in film, The Seventh Seal is the daddy of them all. 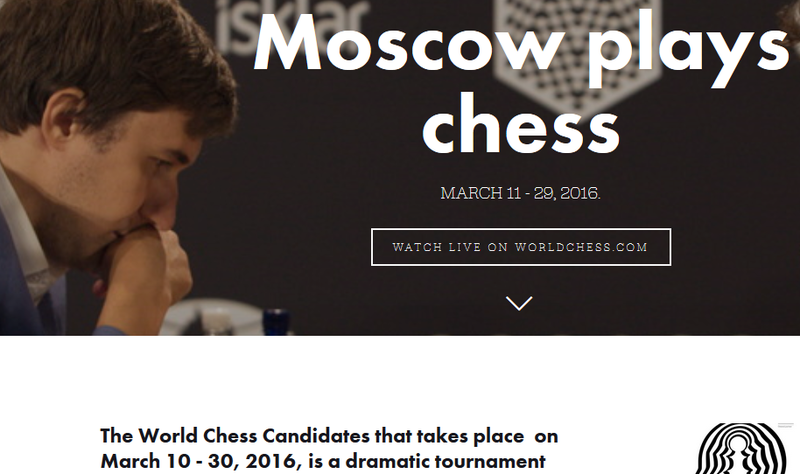 It’s the one where the guy plays chess with Death. Yes, you know it. Everybody does. Everybody knows it, it’s just that nobody’s actually seen it. Not even cultured aesthetes like you, dear reader. Which makes you just like me. Well, it makes you just like me until last week when I finally took the DVD down from the shelf where it’s been sitting still in its plastic wrapper these past couple of years. The most honoured man there was Geoffrey Young, an Eton master, and the President of the Climbers' Club. 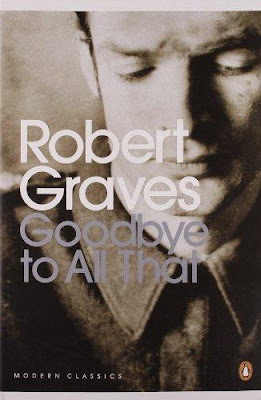 His four closest friends had all been killed climbing; a comment on the extraordinary care which he always took himself. It appeared not merely in his preparartions for an ascent - the careful examination strand by strand of the Alpine rope, the attention to his boot-nails, and the balanced loading of his ruck-sack - but also in his caution on the rock-face. Before making any move he thought it out foot-by-foot, as though it were a chess problem. So far in this series we have tracked the fortunes of the British Chess Club of Paris (1926 to 1938/9) and some of its more famous, and infamous, members. In this final post we continue to dog the footsteps of one of them: George Langelaan. 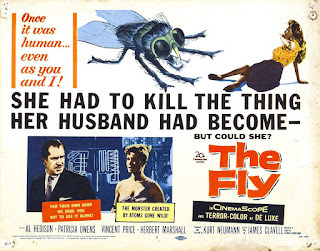 Apart from his escapades with the BCCP, his heroic war service in occupied territory, and his association with Planète, he will be known to many readers as the author of The Fly, published in the States in 1957, then in Belgium as La Mouche in 1962. 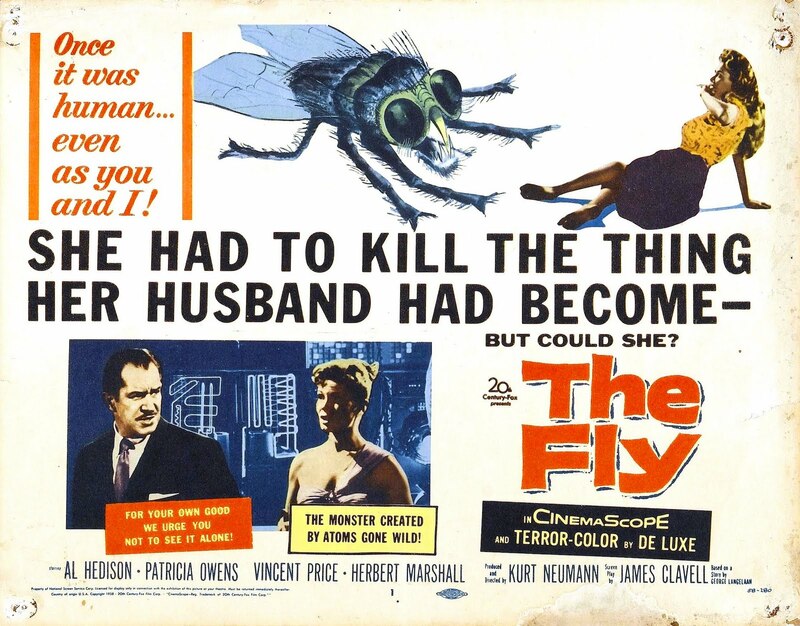 In 1986 it was famously made into a film by David Cronenberg - and before even that, a 1958 original starred Vincent Price. At the time it created quite a buzz. In this episode we will examine another short-story by Langelaan, a sci-fi not-so-far-in-the-future shocker also published in 1962: the chess-themed Robots Pensants. Whatever happened to the Scheveningen?